When the going gets tough, it is important to have a lot of self-belief and determination to come out of such trying and testing times. Winning and losing is a part and parcel of sport. DD might have not had the best of seasons in this year’s VIVO IPL, but the individual performances brought a lot of cheer in the camp and it also gave a reason to believe that with this core we can come back stronger next season. Keeping the highly competitive nature of the VIVO IPL in mind, even the slightest of errors can cost any team a match. It was a tough schedule for us this season as we had to play our first five games away from home and we could manage to win only one of them. In the remaining 9 games we were able to make it to the finish line four times. Out of our five wins this season, we won 1 away game at the Wankhede and won 4 games at our home ground, the Feroz Shah Kotla. DD has always put up a commendable performance at their home turf and this makes Kotla even more special for us. The disappointment of not making the top four notwithstanding, there are a lot of positive signs for DD from this season. There is a core in the process of being built. Take any of the most successful VIVO IPL teams, CSK and MI for instance, have had a core team for years and the squad is built around it. From this season, DD can certainly identify a few players with immense potential who can help form that core that we so desperately need. There are positives from this season that we can take ahead. Let’s delve into those. When Gautam Gambhir stepped down as captain mid- season, the reigns were handed over to one of India’s most promising young talents, the 23-year-old Shreyas Iyer. In his first match as captain, Shreyas Iyer played a valuable knock of 93 runs against KKR. Since then, he has donned the hat of the captain quite responsibly and has returned with some valuable performances for the team. He has scored 411 runs in this season which includes four half centuries. Iyer formed crucial partnerships with Pant in the middle-order quite often and showed the ability to launch a counter-attack. Shreyas has always been an important top-order batsman for whichever team he has played. This time, it was heartening to see him mature as a captain as well. He looked confident and showed his smarts on numerous occasions. For instance, he handed the new ball to Sandeep Lamichhane on his debut. No one had played him in the IPL before, and he was a mystery of sorts. Sandeep repaid the captain’s faith and returned with figures of 4-0-25-1. The wicket came in just his second over with the new ball. It is no wonder that he is regarded highly by Ricky Ponting. “It was a daunting thing to do to captain and I think he (Shreyas Iyer) handled the challenge well. He is a tremendous young guy and I won't be surprised if I see more leadership roles for him in future”, said the DD head coach. Iyer has been given the India A captaincy for the limited overs tour to England, and it’d be great to see him draw on his IPL experience and do well overseas. 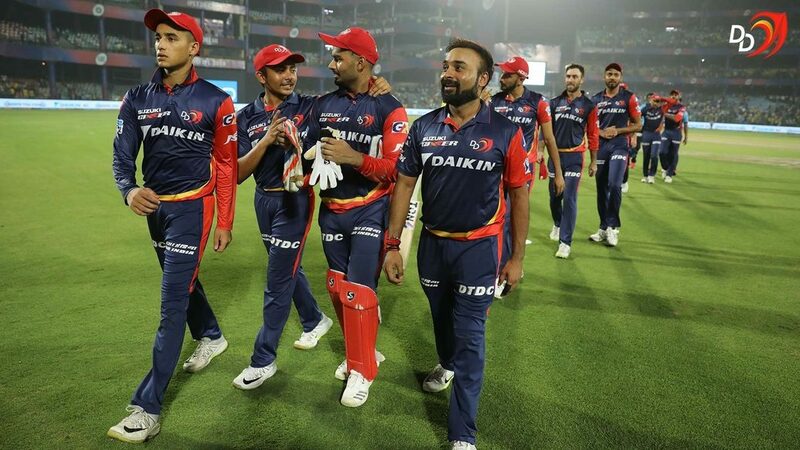 Three teenagers, Prithvi Shaw, Sandeep Lamichhane and Abhishek Sharma, went a long way in making a reputation for themselves this season. They grabbed the limited opportunities they had with both hands and made the most of them. In the 9 matches that Shaw played for DD this season he has scored 245 runs with a strike rate of 153.12 including two fifties. His most notable performance came against the Kolkata Knight Riders at the Kotla where he struck a magnificent 62 runs off 44 balls. He has gotten out playing rash shots a couple times, but that’s something he will learn and improve on. With some confident hitting down the ground and his cracking square cuts, he has shown more than a glimpse of the prodigious talent that he possesses. There is only way for Prithvi Shaw from here – up. Nepal’s pride, Sandeep Lamichhane got an opportunity to play for DD towards the end of the tournament. Lamichhane played three games for us and bagged 5 wickets. What’s even more impressive is the fact that he claimed those wickets while giving away runs at a miserly economy rate of 6.83. The leg spinner troubled many a batsman with his variations, particularly the googly. Sandeep has been one of the biggest revelations in this year’s VIVO IPL. The last game of our fixture saw him complete his first three-wicket haul in the tournament. He coupled with Amit Mishra to wreak havoc with the ball and ultimately helped DD seal a win in our final game of the season, against the defending champions Mumbai Indians. Little did one anticipate what was to follow when 17-year old Abhishek Sharma came out to bat against the Royal Challengers Bangalore on debut. The first ball he ever faced in the VIVO IPL was carved over mid-off for a four. What a sight it was when Sharma clobbered Kiwi pacer Tim Southee for a six straight over his head! His unbeaten knock of 46 runs from 19 balls in his first game speaks volumes about his capabilities. His hard-hitting came to the forefront, but he did not get an opportunity to roll his arm over for DD this season. Sharma is quite a useful left-arm spinner who has had reasonable success at the U-19 level and the domestic circuit. He’s got flair when he plays and in him, DD have found yet another uber-talented youngster. One-handed sixes sailing into the stands. Awkward-looking ramps over third man. A combination of brute force and innovation, that’s Rishabh Pant. Now, add consistency to that equation and that’s Rishabh Pant this season. Pant makes the best of the bowling attacks look timid when he gets going, and he got going more often than not this season. Pant has shattered numerous records for DD this VIVO IPL. In the 14 matches that he has played for DD this season, he has amassed 684 runs striking at 173.60 with an astounding average of 52.61. That tally of 684 runs is the most by a DD player in a single VIVO IPL season. He broke the record for the highest T20 score (128*) by an Indian in T20s against the Sunrisers Hyderabad. He also holds the unique record of becoming the highest scoring wicketkeeper in a VIVO IPL season. Pant added more records to his name as he smashed the most number of fours and sixes by a batsman this season, with 68 and 37 respectively at the end of the round-robin stages. And the records mentioned are just skimming the surface. With his five half centuries this season, Pant had a massive impact on DD’s batting lineup. He also held the Orange Cap at the end of the league stages. He has proven to be a match-winner and has entertained audiences all over the country with his x-factor. 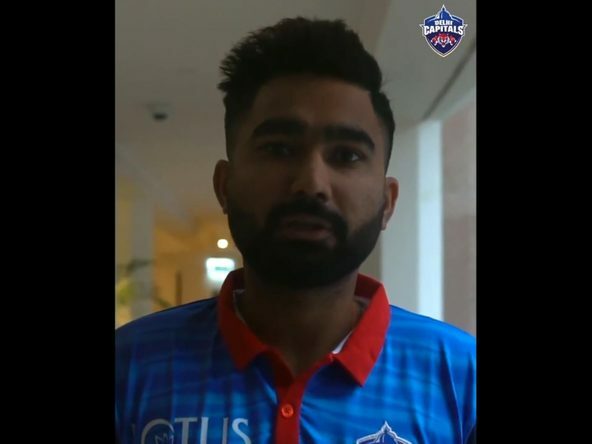 Towards the end of the tournament, Pant was asked in an interview if this phase was the best he has ever batted. His answer exuded maturity. “There is always scope for improvement and I have to improve a lot. But I have enjoyed my batting this season and to be able to score important runs for your team is always a pleasing experience. (But) I can definitely do better,” said the southpaw. The will to do better and the hunger for runs will take this youngster a long way in his career. DD’s last two matches of the season - defeated the Chennai Super Kings by 34 runs; beat the Mumbai Indians by 11 runs. These were convincing wins, and they weren’t easy. The pressure of playing for a Playoff spot wasn’t there. But, from DD’s point of view, there was a different kind of pressure. The pressure to salvage lost pride and boost some confidence, and most importantly the pressure to bring some joy to passionate DD fans who support the team unconditionally. Additionally, these games were far from dead rubbers as CSK were playing to maintain a spot in the top two and MI had everything on the line as they were playing for a spot in the Playoffs. Keeping that in mind, beating two former champions, and knocking one of them out of the competition, was a great way to end the season for us. The bowlers hadn’t particularly found their mark in the beginning of the season, but they made up for the losses with a few clinical performances towards the end. There’s a lot that clicked as we got the late run of wins. The spin-twins Amit Mishra and Sandeep Lamichhne made merry in the last couple of games. Harshal Patel’s all-round abilities were put to effective use by DD. Patel’s 36 runs off 16 balls against CSK had helped DD to put up a commanding total of 162 in 20 overs on a wicket which looked very slow. Harshal was also handy with the ball in the last match against MI and returned with figures of 2.3-0-28-3. 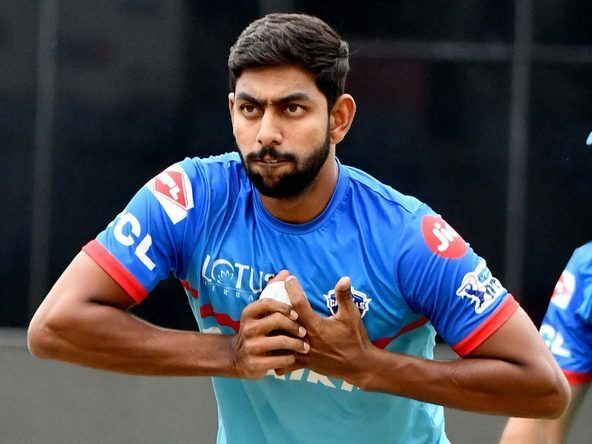 Vijay Shankar held his ground with some compelling performances to his name. In the 13 matches that he has played for DD he has scored 212 runs at an impressive average of 53 and a strike-rate of 143.24. The late surge involved some good performances from the lads and the confidence that they gained as a group from these wins will stand them in good stead next year. As they say, better late than never!